Broach Built Manufacturing, Inc. is fully staffed and resourced to accommodate all of your manufacturing needs from prototypes to full scale production builds. We utilize our transparent and integraded ERP software to manage our people and systems to the maximum efficiency to give you service that YOUR market demands. BBM is a contract manufacturer of printed circuit board assemblies (PCBAs). We also provide cable and wire manufacturing services, programming and test services, box builds and mechanical assembly, packaging/shipping services, parts procurement and stocking services, and many more. About Broach Bilt Manufacturing, Inc.
Broach Bilt Manufacturing (BBM), Inc. is an electronic manufacturing service provider located in McKinney, Texas. We have been in service for over 27 years in North Dallas Area with a dedication to continual improvement supported by our certificate in ISO 9001:2008. We specialize in circuit board assembly, cable assembly, programming and testing, box builds, and component sourcing. Broach Bilt Manufacturing, Inc. is a leader in the industry, and we strive to accommodate the needs of our customers to the fullest degree. Our automated processes help us accomplish this goal and provide customer satisfaction. 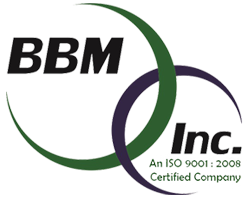 BBM, Inc. is a family company with a partnership mentality. We look forward to partnering with you and your company.